Discount massage tables might cost only a few hundred dollars, but are they quality tables, that can withstand daily use? Finding the best requires reading reviews of massage tables, and discovering what other therapists recommend. Best massage tables for your money! Although purchasing less expensive massage tables can be a great way to furnish a new massage therapy business, it is not always better. Cheaper is not always the best way to go for a professional piece of equipment that you will use everyday. You want a safe table for your clients, and for you! There are so many different brands of massage tables and it is impossible to know what you will need in a table when you are a new therapist. But, if you are a student or new therapist, it is best to purchase a portable table, because you do not know what your first massage job will be. Portable Massage Tables are purchased according to the type of massage therapy business and/or type of treatments you will provide. Stationary Massage Tables are best for those working in a spa setting or home based business. Electric massage tables are wonderful for their easy-to-adjust height, enabling the therapist to work at a level that is always comfortable, as well as making it easy for the client to get on and off the table. This is especially helpful for an elderly clientele. New, discount massage tables are sometimes a better choice than buying a cheap table. You may be interested in reading about the five major manufacturers of tables. If you want to practice in a home office or salon setting (and you will never go out to do table massage), a stationary table is always nice. They tend to also be more plush and sturdy, giving the client a very safe, comfortable and secure feeling. Spas usually have either a stationary massage table or an electric massage table in their treatment rooms. Both tables provides stability and easy access for getting on and off. This is very important in any massage setting, but critical in a plush spa - where nothing should be difficult...especially getting on or off a table. Laundry detergent - what's best for massage table sheets. Although the wooden frames are more popular, the lighter aluminum frames can also be reasonably priced. Aluminum frame tables are a good choice if you plan to have an out-call only business, as they are usually 2-3 pounds lighter than wood frames. Read more about the advantages of aluminum massage tables verses wooden at: https://gotyourbackmassage.wordpress.com/tag/aluminum-massage-tables/. Cheap massage tables can be refurbished or rebuilt tables, so read the description carefully. 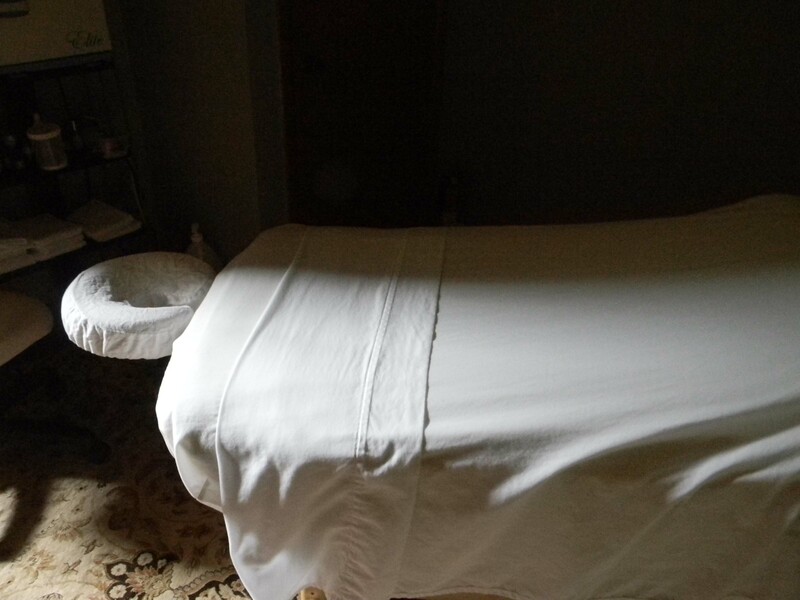 Reputable companies have great, inexpensive tables, like Master Massage (read more about this company on their page link below), so you don't have to compromise and take risks with your client's safety. Squeakiness and instability are two major issues with buying discount massage tables...and that is not relaxing, for you or your client. So, buy the best table that you can when first starting your practice.